If you’re energised by complex problems of product, AI, machine learning, privacy and data, then the next decade of product management is going to be the most interesting yet. 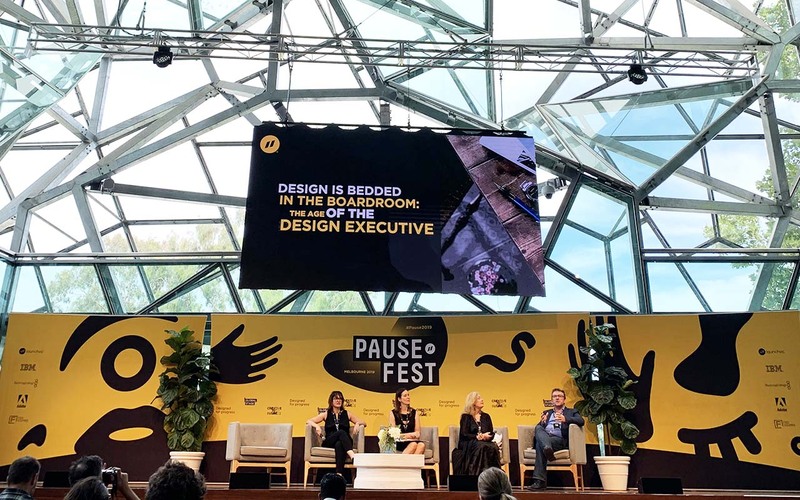 I’ve left Pausefest 2019 inspired about the next wave of products and how we Product people can keep our minds open and our tool-belts relevant. Below are the most exciting, future thinking things I took from Pausefest 2019. Beyond 2030, food will be provided based on our individual physiological needs. That’s the call made by CSIRO Director of the AIM program, Dr Danielle Kennedy. The Active Integrated Matter (AIM) program is part of the CSIRO Future Science Platforms, looking at how digital technology will connect with the material world as part of the fourth wave of the industrial revolution. Dr Kennedy and her team are looking closely at our current mass market production and consumption of food as part of their program. They argue that, with more than three million differences in the genomes of any two human beings, making optimal food choices for most of us should be at the intersection of genetics, the environment and our prior experience. This is why they’re looking into personalised food systems that incorporate rapid decision-making technology to provide on-demand food that takes into account your personalised genetics and lifestyle data. What will this mean for the products we’ll build in the future? The year 2030 is not that far away. The CSIRO AIM Program challenge is to envisage how we’ll tackle some of our biggest mega trends by then. I love staying updated with the CSIRO’s strategies for addressing macro trends, particularly when thinking about long-term product vision. At a macro level, we know that health and wellbeing will be one of the biggest economic drivers over the coming decades. There are a multitude of problems to be solved on how to tackle the seemingly endless number of health issues being experienced, costing our health system billions of dollars. It reminds me of Syed Ahmed’s talk on Artificial Intelligence at Leading the Product in 2017, where he broke down AI product layers into academic, systematic, and interactive. The CSIRO’s work in food technology could be where we’ll see AI starting to impact new industries at the systemic level. The AI will analyse your genes to determine a list of nutritious combinations that will improve your general wellbeing and connect with units that will provide the required daily intake. It indicates that the next industrial revolution 4.0 will see digital transformation reaching into healthcare, FMCG and our agricultural industries. AI decision-making based on real time environmental and genetic data will directly impact people’s food consumption and change the way food manufacturers look at who they’re developing products for. Right now in product management, we talk about the user persona and the buyer persona. In this brave new world, that buyer persona is as likely to be AI driven. As a simple example: if your product was children’s school snacks, your target users would still be the school kids, but instead of the parent, your buyer persona would be AI, which is analysing the nutritional intake and the personal tastes to select the best option for the child’s health and wellbeing. Further, in an AI driven world, “we’re no longer going to be able to predict the journey flow for our products.” That’s one of the key insights from Dr Ricardo Prada, Director and Principal UX Researcher at Google, who also spoke at Pausefest. Instead, we’re going to have to think about rapidly configurable products. Dr Prada likens this to someone flipping over a chess board, but instead of putting all pieces back again, instead needing to rapidly configure eight different kinds of chess games. We’ll have to mentally shift from focusing on product requirements at a feature level and start thinking about how we think and learn to ensure we can guide future AI driven products. When the future is AI, product managers will need to integrate AI experiences, and some of AI’s greatest critiques is how it further indoctrinates unconscious bias while being veiled as data-driven decision-making. This is a challenge that will hit product managers particularly. It’s refreshing then to note that the team at Google have integrated ‘Fairness’ into their product development framework. Yet the principle of ‘fairness’ should be incorporated in much of product decision-making, not just AI products. Understanding our data to ensure consistent use of the same datasets across the business is still one of the biggest painpoints for many Product Managers. The concept of data-hungry AI is, and should be, heavily scrutinised with an ethical lens. However, it can be useful to remember that there’s a reason we’re spending hours trying to embed and subsequently untangle the streams of data-points in our products. There are some exciting transformations ahead and plenty of great minds that will help us get there. 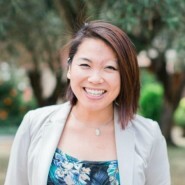 Pearly Yee is a digital product leader passionate about building successful products that solve real problems for customers. Experienced in agile driven product development, using data, research, customer feedback and insight to drive the product road map for multiple award-winning digital products.